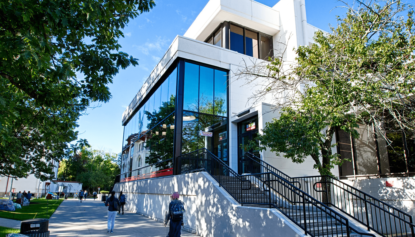 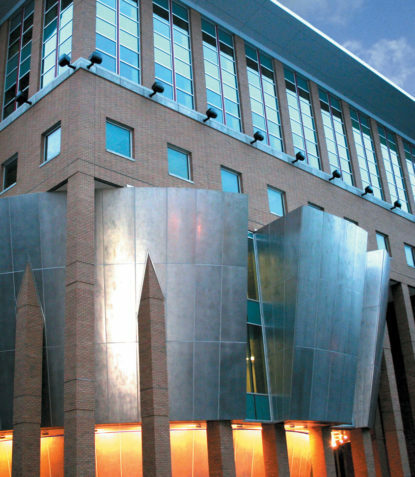 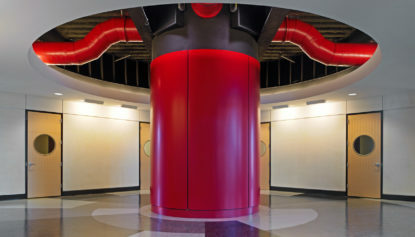 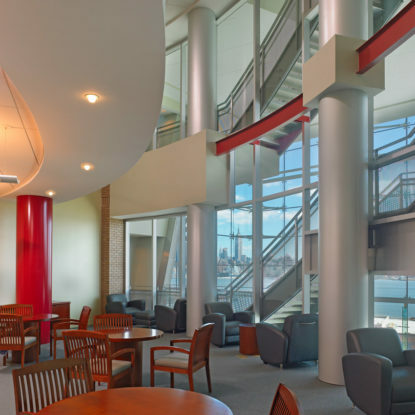 The Lawrence T. Babbio Jr. Center for Technology Management is a new, six-story, 95,000 SF, academic building situated above a four-story parking garage on the campus of Stevens Institute of Technology. 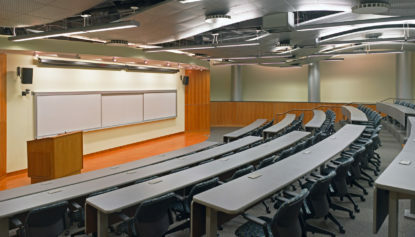 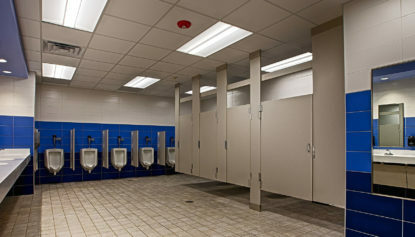 The buildings rectilinear form is juxtaposed by the canted stainless steel clad classrooms that literally break out of the box. 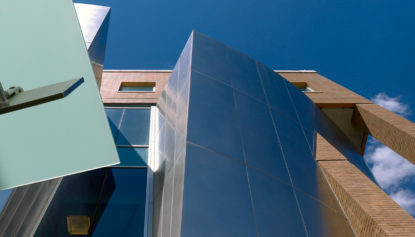 A landscaped plaza is created on the roof of the parking garage, as a unifying element for the surrounding academic buildings. 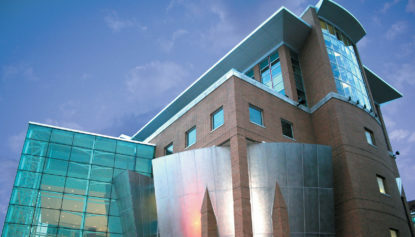 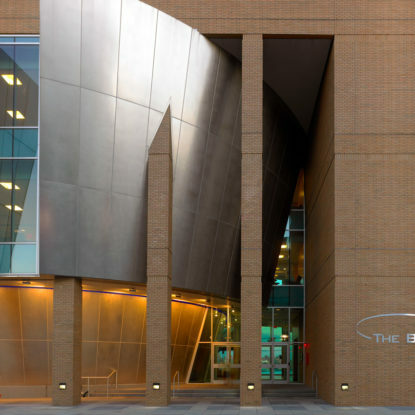 This building has been designed using sustainable criteria. 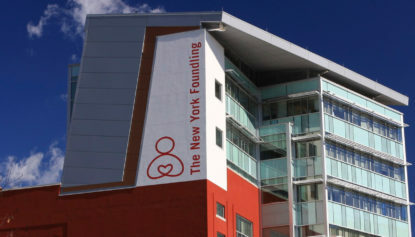 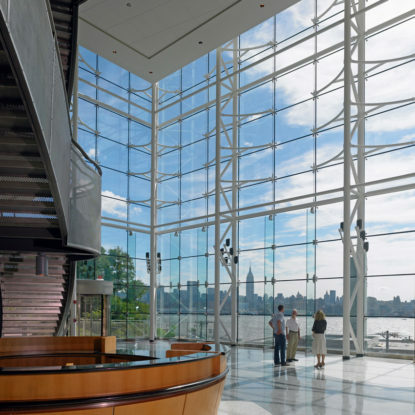 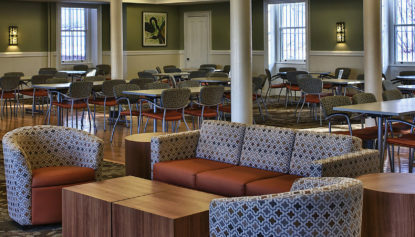 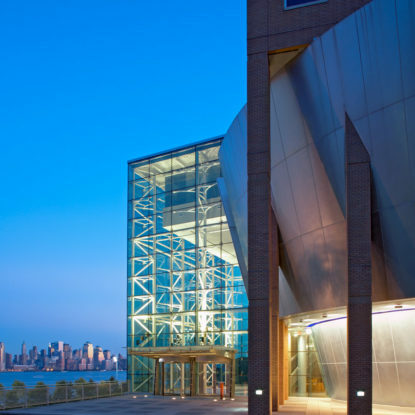 This building houses academic classrooms, lecture halls, conference areas, a library, faculty offices, a wide variety of flexible spaces, and a four-story atrium with views to the Hudson River and the Manhattan Skyline.